Two major theological themes occupy this chapter. First, at the heart of the formation, reception, and history of interpretation of their sacred texts, the Christian and Muslim traditions exhibit several noteworthy similarities as well as important differences. Though both came eventually to revolve around a unique sacred text, the Muslim community grew even as the scripture was being revealed. For the Christians, the multiauthored New Testament was relatively delayed, by contrast, in its formation as a unified canon. Second, the earliest communities of Christians and Muslims bore very different relationships to their sacred sources but also showed some intriguing analogies in the ways the core circles of original adherents related to their founding figures. As the two largest "Peoples of the Book," Christians and Muslims are keenly aware that their traditions are rooted in authoritative sacred texts. Both global communities have also generated complex histories of scriptural interpretation. In both traditions, exegesis begins with, and within, the primary revealed texts themselves. In this section I will outline the principal varieties and histories of exegetical methods in the two traditions and conclude with a look at the "historical" implications of how the respective scriptures talk about the "foundational figures" Jesus and Muhammad. Both Christian and Islamic traditions have long histories of explicit awareness of the challenge and delicacy of interpreting communications believed to be of divine origin, whether as product of "inspiration" or as the mediation of the very words of God. This awareness begins with the sacred texts themselves, in the ways they incorporate, or allude to, previous "books" as well as in their more explicit comments on the limits of human interpretation and the inherent differences in various types of sacred communication. Christian traditions of exegesis begin with the twenty-seven "books" of the New Testament. The "inspired" authors of the New Testament works found themselves at an exegetical crossroads of sorts. As Jews, they were heirs to already well-established methods of Jewish exegesis. But as members of the fledgling Christian community, they recognized the need to reorient their interpretation of the Hebrew scriptures so as to make clear how and to what degree the new faith distinguished itself from ancient Jewish beliefs. The crux of the matter lay in a dramatic departure from Jewish messianic expectations, which Christians regarded as being fulfilled in Jesus of Nazareth. In other words, for Jewish-Christians the long wait for the Messiah was over, but for their Jewish brothers and sisters it was not. This fulfillment required a new mode of interpretation for the texts of the Hebrew scriptures long thought to refer to the expected Messiah, as well as a reorientation of formerly nonmessianic texts the better to reflect the characteristics that Christians now associated with the long-awaited deliverer. Elements of continuity linking Jewish and Christian exegesis included a variety of methods, as evidenced by the ways New Testament texts cite the Hebrew scriptures. Verbatim quotation can be qualified by "thus fulfilling the words of ... [followed by a quotation of an Old Testament text]" or simply by citing an Old Testament text and assuming that readers would recognize the allusion, as when Mark 15:34 cites Psalm 22:2. Near quotes appear often, with or without contextualizing comment, as in Matthew 11:2-5. In addition, many New Testament texts allude to more ancient scriptural texts, clearly referring to the literal sense but further clarifying the text's meaning for Christians. For example, all three Synoptic Gospels (Matthew 27:35, Mark 15:24, and Luke 23:34) allude to Psalm 22:18's reference to dividing by lot the garments of a "type of Christ." Finally, the Gospel of John and the Pauline Letters often quote or allude to Old Testament texts in ways that clearly move well beyond a literal sense by "spiritualizing" the meaning (as, for example, John's prologue and Romans 16:25-26, both reminding readers of the connection between the Old Testament and the "hidden meaning" of it, revealed in Christ). Jewish exegetical methods employed by New Testament authors include allegorical readings of Old Testament narratives, such as Galatians 4:21-31's reinterpretation of the various elements of the story of Abraham. Sarah and Hagar represent the two covenants (old and new), Isaac and Ishmael free persons and those still under the Law respectively, and places such as Sinai refer to eschatological concepts such as the New Jerusalem. Line-by-line commentary, known as pesher, occasionally appears, as when Romans 10:5-13 provides a Christian rereading of each verse of Deuteronomy 30:12-14, showing how each is actually a reference to Christ. In short, the Pauline Letters give solid evidence of early "typological" thinking, that is, discerning precursors (types) of New Testament figures or truths in the Old; but beyond that one might also see Paul's distinction between "letter" and "spirit" as a precursor of Christian exegetical concepts of "historical" (i.e., more literal) and "allegorical" interpretation. Traces of the "Seven Hermeneutical Principles of Rabbi Hillel" occur in various guises throughout the New Testament. One of the last rabbinical "pairs of teachers" (along with Shammai), Hillel is credited with systematizing a set of guidelines for scriptural interpretation. One of those principles, the "light and heavy," argues that if a given action is acceptable in a clearly serious and highly restrictive setting, it is surely acceptable in a far less momentous situation. Mark 2:23-28, for example, has Jesus referring to the account in which David and his hungry men ate bread from the Temple's ritual supplies (1 Samuel 21:1-16). Implicitly applying the principle of the "light and heavy," Jesus responds to those who criticized his followers for eating grain on the Sabbath (thus violating the prohibition of labor on the holy day). If David could eat even from the sacred and therefore forbidden ritual offerings of the Temple (the heavier case), Jesus argues, there is clearly no problem with the apostles nibbling on some grain that has obviously not been consecrated for ritual use (the lighter case). As for the specific purposes of New Testament authors, use of the Hebrew scriptures to assert that an ancient prophecy has been fulfilled in the life of Jesus is among the most prevalent methods. Few details of the life of Jesus go unsupported by Old Testament texts. Many allusions to the Old Testament are meant to establish unshakable historical bases for certain Christian practices, including apparent departures from ancient Jewish prescriptions. Arguments both for and against circumcision based on Old Testament texts appear. For example, Acts 15:16-18 cites Amos 9:11-15 (God will rebuild the fallen house of David) as proof that circumcision should not be required of new converts; but Galatians 3 cites Habakkuk 2:4 (life comes through faith and not through the Law) to bolster the Pauline case for the supersession of the Jewish law (which mandates circumcision). Conversely, some New Testament texts (John and Hebrews in particular) also validate "new" ideas or beliefs by reframing Old Testament references as "prefiguring" imperfectly the reality of Jesus. So, for example, while Israel is the "vine" and God's people fed on the "bread" of desert manna, Jesus is the "true" vine and the "true" bread (Isaiah 5:7; Exodus 16:11-31; John 15:1-5, 6:35, 41). In short, New Testament exegesis functions largely to characterize the relationships between the old and new dispensations. In some cases the point is that the new flows directly from the old (prophecy fulfillment); in others, that the new builds on the old by deepening its underlying themes (allegorical and typological); and in still others, that the New Testament reading represents a dramatic rupture with the Old (supersession, as in Hebrews 10, with its dual argument that Jesus supplants Moses and that Jesus' sacrifice renders all subsequent sacrifice nugatory and the Temple obsolete). During the second Christian century (known variously as the postapostolic period or the period of the apostolic fathers), exegetes continued to refine methods and varieties of interpretation. The basic structure of the "Muratorian Canon" of the New Testament was not formalized until around 180 C.E., and it was in 367 that Athanasius first listed the canon as now accepted. Early interpreters therefore continued to focus largely on further exegesis of the Old Testament. Apostolic Father Justin Martyr (110-65) argued for the identity of "letter and spirit" in the interpretation of scripture, and saw witness to "Christ as Logos" as the key criterion of scriptural authenticity in the process of canonization. Typological interpretation was a staple, so that, for example, Justin read Old Testament references to "wood" as "types" of the cross of Christ. Drawing on Paul in Romans and Galatians, Irenaeus (130-200) advanced this typological method with his concept of recapitulation, whereby New Testament figures "renew" the Old Testament. Hence, for example, Christ is the "new Adam," Mary the "new Eve." Later second-century figures such as Tertullian of Carthage and Clement of Alexandria further developed the concept of the New Testament as an allegorical fulfillment of the Old Testament. Tertullian, however, remained more conservative in his appeal to allegorical exegesis, using evolving church teaching as his touchstone. Clement espoused a more individualistic approach based on what the individual's own faith moves him or her to discern in scripture. Origen of Alexandria further refined Clement's methods of allegorical interpretation, so that by the mid-third century, the Pauline distinction between letter and spirit had blossomed into a tripartite exegetical model (the historical, the typological, and the spiritual sense). It is likely that the Alexandrian Jewish exegete Philo (c. 20 B.C.E.-c. 50 C.E.) influenced Origen in this regard. In turn, Basil of Caesarea (330-79), Gregory Nazianzen, and Gregory of Nyssa taught the superiority of images to mere words as the foundation for a further development into what came to be called the "four senses of scripture." On the basis of the work of these Cappadocian Fathers, exegetes came to refer to the four levels of meaning as follows: historia ("What God and Fathers did"), yielding a typological interpretion; allegoria ("Where our faith is hid"), resulting in a spiritual interpretation; tropologia ("Rules for daily life"), or ethical interpretation; and anagogia ("Where we end our strife"), reading texts for their eschatological meanings. So, for example, one might understand texts about "paradise" variously as referring to the garden of Eden (historical), Christ and the church (allegorical), the realm of the four cardinal virtues (tropological), and the heavenly reward at the end of time (anagogical). By the same token, references to Jerusalem would mean the Holy Land, the church, the soul of the believer, and the heavenly city, respectively. Subsequent major early exegetes like Augustine, Jerome (347-419), Theodore of Mopsuestia (350-428), and Gregory the Great went on to argue for varying emphases on the respective "senses" of scripture. Ephrem of Syria (d. c. 373) and other Syriac-writing exegetes of the central Middle East are of particular importance in this context, as their work arguably set the stage for the exegetical writings of Islam's earliest Qurʼān commentators. Over the course of late antiquity and the Middle Ages, Christian exegetes further refined the interpretative options. The story of the last millennium and a half is too long and complex to retell in detail. Here a few general characterizations concerning major developments must suffice. During early medieval times major figures such as Alcuin (735-804) and John Scotus Eriugena continued the quest to reconcile exegesis with the Neoplatonic concept of emanation (as in the increasing materialization of spiritual realities) and integrated exegesis into the traditional schema of liberal education. A favored system identified quadripartite patterns everywhere, from the Gospels to the seasons, cardinal directions, ages of the world, and cardinal virtues. In the reforming monasteries and emerging universities of twelfth- and thirteenth-century Europe, exegetes further refined a full range of traditional hermeneutical styles, from the strictly literal to the highly symbolic. Earlier emphasis on the link between scripture and prayer yielded to a more academic approach to exegesis as a topic for university lecturers. During the later Middle Ages (thirteenth and fourteenth centuries), exegesis took second place to the emergence of Scholastic systematic theology, but early Reformers such as Wycliffe and Hus again tilted the scale in favor of scripture study. Martin Luther, John Calvin, and other sixteenth-century Reformers revitalized exegesis further by reorienting the principles of patristic hermeneutics. No longer would church teaching be the decisive criterion in how to read the sacred text. Now holy writ would become the authoritative commentator on itself. As a result, Reformation exegetes emphasized finding the "spirit in the letter," severely limiting the use of allegory, in the interest of adapting scriptural preaching to an age of exploration and discovery. In the early modern and modern periods, changing political, social, and cultural dynamics played a major role in shaping exegetical theology and hermeneutics. With the rise of nation-states, for example, the church's relationships with political power shifted dramatically. In more recent times, increased consciousness of the decisive influences of race and gender has given rise to heightened awareness of how cultural and social dominance can skew interpretation in favor of those already at the top of the power pyramid. With that much too brief summary of an enormously complex subject, we must move on to the Islamic side of the story. Unlike the New Testament, the Qurʼān does not specifically "quote" earlier scriptures. It does, however, make multiple allusions to figures and narratives that appear in both Old and New Testaments. Early Muslim exegetes also made considerable use of narrative material called Isrāʼīlīyāt (stories about the people of Israel), a practice roughly analogous to New Testament allusion to Old Testament stories. In other words, much Qurʼānic narrative material has what one might call "biblical resonances." At the same time, the Muslim scripture evidences a variety of distinctive hermeneutical principles. First, Muslim tradition assumes that explicit citation of what Jews and Christians acknowledge as authoritative versions of their sacred texts is not only unnecessary but would lead to serious error. Behind this assumption lies the concept of tampering (tahrīf), according to which any perceived discrepancy between biblical and Qurʼānic texts and accounts is traceable to deliberate interference by Jewish or Christian scholars. Second, the concept of abrogation (naskh) arises from the notion that God revealed his word gradually as a concession to the inability of humankind to receive and absorb all of the divine truth at a stroke. As a result, exegetes interpret texts of the Qurʼān that may appear at first glance to contradict each other as sequential rather than mutually incompatible. Following upon the need to distinguish "abrogated" texts from "abrogating" revelations, Muslim exegetes have insisted from very earliest times on the importance of identifying as precisely as possible the historical context of every Qurʼānic text. Naming these occasions of revelation (asbāb an-nuzūl) gave rise to the practice of labeling each sura of the Qurʼān with an acknowledgement of its location in the original order in which the texts were revealed to and through Muhammad. Not unlike the Christian concept of context in the life of Jesus (Sitz im Leben), the circumstances of revelation anchor the text in the concrete setting of the early community and life experience of the Prophet. A key methodological difference, however, is that the Christian exegetical principle arose centuries later with the historical-critical method rather than out of a concern to anchor a text explicitly in an already established chronology. The Qurʼān itself makes a fundamental distinction between two ways of understanding the scripture's texts. According to sura 3:7, "He it is who has revealed the Scripture to you. Some of its verses [or "signs"] are categorical in meaning [muhkamāt]. They are the mother [i.e., essence] of the Book. Others are open to interpretation [i.e., metaphorical or allegorical, mutashābihāt]. Those whose hearts harbor ill will pursue its metaphorical verses in their desire for disharmony and [esoteric] interpretation [taʼwīl]. None but God knows the inner meaning." Even though the text seems rather obviously to warn Muslims away from presuming to read God's mind, Muslim interpreters began very early to develop an extensive exegetical literature, for the Qurʼān itself leaves relatively open the question of which verses belong to which category. Soon after the death of Muhammad, leading Companions (first-generation Muslims) noted for their unique knowledge and understanding of the Prophet's Qurʼānic recitations embarked on what would become a massive, centuries-long project-unfolding the multiple meanings of the sacred text. As early as the seventh century, a seminal exegete named Ibn ʻAbbās (d. 688) suggested that the Qurʼān had four facets: tafsīr (possibly a literal dimension), known to scholars; an "Arabic" aspect, clear to native speakers; a legal or ethical aspect, embodied in its commands and prohibitions; and taʼwīl, perhaps a symbolic meaning, known only to God (but another reading of 3:7, based on a variant in punctuation, suggests that this meaning may also be known to "those firmly rooted in knowledge"). This quadripartite model arguably reflects Jewish and/or Christian influence, but the important point is that the first Muslim specialists acknowledged the complexity of interpreting the sacred text. There is considerable variety in the ways various exegetes define the levels of meaning discernible in Qurʼānic verses. Beginning in the eighth century, Muslim commentators began producing various forms of tafsīr, mostly fragmentary notes rather than full-scale commentaries. The simplest, such as that of Mujāhid (d. 722), were those that largely paraphrased Qurʼānic texts, using synonyms for certain key words, as in "Lord, that is, master." In addition, narrative commentaries, somewhat after the fashion of Jewish midrash, explained by telling stories based heavily on ancient regional lore and relying very little on the Hadith. Muqātil ibn Sulaymān (d. c. 767), from northeastern Persia, was among the most influential in the genre. Whereas the paraphrastic type hewed closely to the Qurʼānic text, the narrative type often departed considerably from the sacred words. Finally, a form of legal exegesis took specific topics of mandatory religious behavior as its organizing principles, rather than following the order of the scriptural text itself. Most works of this genre confined themselves to ferreting out, for example, how one ought to perform ritual prayer or pilgrimage or deal with questions of family and inheritance. Some legal works, like that of Qatāda (d. 736), specialized in the juristic implications of naskh (abrogation), sorting out in which instances a requirement mentioned in one text might have been superseded or nullified by a variation revealed in a later text. By the early ninth century, commentators had begun to apply sophisticated grammatical and linguistic disciplines to the study of the sacred word. Grammatically oriented exegetes, such as Ibn Qutayba (d. 889), were especially interested in the increasingly important theological themes of the Qurʼān's "inimitability" and "excellent qualities." Here the commentators were moving more obviously toward drawing theological implications from their analysis: though one can apply the rules of grammar to the text, that very application leads to the conclusion that this is no ordinary literary work. During this phase of exegetical development, an increasingly important feature was recourse to the Hadith with a view to mining their explicitly exegetical content. The result is generally called tafsīr, based on "tradition" rather than on "individual opinion." Over the next several centuries, major exegetical works of this kind included the massive multivolume opus of Tabarī (d. 923) and somewhat shorter works by Abū Bakr ar-Rāzī (d. 938), Thaʻlabī (d. 1035), Ibn al-Jawzī (d. 1200), Ibn Taymīya (d. 1328), Nasafī (d. 1310), and Ibn Kathīr (d. 1373), to name only a few-representing the varying perspectives of different Sunni schools of religious legal methodology. Some legal scholars during the eleventh through fourteenth centuries wrote more explicitly juristic commentaries, focusing almost exclusively on fine points of law. Meanwhile, as the many examples of "mainstream" exegesis appeared in considerable profusion, exegetical works of a more specialized kind were also being produced. Some commentaries keyed in on aspects of the sacred text related directly to God's nature and attributes. Members of two schools of thought in particular, the Muʻtazilī and the Ashʻarī, were largely responsible for such "theological" commentaries, the earliest dating from the ninth and tenth centuries. Primary later examples are the works of the Muʻtazili Zamakhsharī (d. 1144) and Fakhr ad-Dīn ar-Rāzī (d. 1210). Some commentaries also came from more "sectarian" environments, with the intent of providing scriptural support for the secessionist tendencies of the Kharijites (discussed below) and for the distinctive theological flavors of the various Shiʻi groups. In the latter instance, a bias of exegetes was to look for references that could be taken to refer allegorically to members of the "House" (i.e., Family) of the Prophet. For example, the famous "Verse of Light" (24:35) likens God's cosmic illumination to a niche within which there is a lamp within which there is a glass shining like a star. A Shiʻi exegete might identify the lamp as Muhammad and the glass as the first imam, Ali, thus suggesting both the imam's intimacy with the Prophet and access to revelatory illumination. Yet another thread in early exegetical literature was discussion of problematical scriptural texts (majāz al-Qurʼān). Finally, beginning as early as the eighth century, some commentators began producing works of "mystical" exegesis, with a preference for texts that suggested God's immanence and the possibility of a close relationship between human lover and divine Beloved. In more recent times, Qurʼānic exegesis has expanded somewhat both in genre and in method. Some modern works have been oriented to the use of a broad educated public rather than merely to specialists, and some more thematically structured works gather texts on related themes and comment on them together. Methodological developments have gone in several important directions. Some interpreters have taken their stand in an Enlightenment perspective, while others begin with the assumption that the Qurʼān embodies the roots of all modern science, if only one knows how to read it properly. More daring exegetical approaches involve a literary study of the sacred text. It is the use of a variety of "historical-critical" methods, however, that has caused the greatest stir, much as those methods raised enormous controversy among Christian biblical scholars less than a century ago. It is hardly surprising that these more recent studies have generated considerable debate, and even open hostility, with so much at stake. Muslims are not the first to face the challenge of working through such daunting paradigm shifts. Christian and Islamic sacred texts function very differently as sources on the two traditions' "founding" figures, Jesus and Muhammad, as "historical" personages. Christians of various denominations, from the most conservative wing of Evangelicals to a small percentage of Catholics, lean toward more literal interpretation of the biblical record. Evident contradictions among the four Gospels (and elsewhere) concerning the chronology and events in the life of Jesus pose no major problems. The hermeneutical key in this approach is that scripture is the result of verbal inspiration and inerrancy in all details, though most Evangelicals now speak in terms of "what the Bible affirms," thus allowing somewhat greater scope for interpretation. As for the degree to which the New Testament presents a reliable account of the actual life of Jesus, it is likely that most Christians simply presume the sources' historical accuracy. Others, however, acknowledge forthrightly the relatively limited degree to which one can rely on the New Testament record for "factual" data about the final years of Jesus' life. But in general Christians agree at a minimum that the most important New Testament texts are in some way "about" the Messiah and represent to some (debatable) degree the sayings and deeds of a historical figure called Jesus of Nazareth. From the New Testament, Christians glean far more about Jesus' life story than the Qurʼān affords Muslims about the earthly career of Muhammad. Muslims in general do not consider the Qurʼān a primary source about the life of Muhammad as such. For Muslims, the source that provides the most direct familiarity with the Prophet is the Hadith, with their manifold references to a host of details of Muhammad's life, as well as insight into his personal likes and dislikes. Both traditions, on the other hand, have at least roughly analogous attitudes to the "transhistorical" prerogatives of Jesus and Muhammad. Integral to the sacred legitimacy of both figures is the concept that their comings were presaged in earlier scriptures. As I have suggested above, Christian "sightings" of Jesus in the Hebrew scriptures both determine exegetical styles and vary with the type of exegesis employed. Muslim exegetes have also discerned proleptic references to the Prophet Muhammad in both Old and New Testaments. The Qurʼān itself provides a cue, with God speaking to Moses about "those who follow the Messenger [i.e., Muhammad] whom they find mentioned in [their own] Torah and Gospel" (7:155-57). In Deuteronomy 18:15, for example, Moses assures his people that God "will raise up for you a prophet like me from among you." That "new Moses," according to some Muslim sources, is none other than Muhammad. In a Muslim reading of an Old Testament text attributed to Isaiah (21:6-7), the prophet reports that he saw two riders approaching, one riding a camel and the other a donkey. For some Muslim interpreters, the camel rider is Muhammad, and Jesus is his companion. The preeminent New Testament text in this connection is from the Gospel of John. There Jesus promises his apostles that after Jesus himself departs, God will send them another "advocate" (parakletos, John 14:16). Muslim exegetes have argued that Christian scholars have misread the Greek word, inserting the wrong vowels. A correct reading would be periklutos-not "advocate," but "highly praised one," the root meaning of the name Muhammad. Jesus is therefore actually predicting the advent of the final prophet, not the "Holy Spirit," as Christians would have it. The problem, from the Christian side, is that none of hundreds of ancient manuscripts of John show this "alternative" spelling. In both pristine traditions, communities of belief coalesced around the conviction that God had blessed them specifically as a people with a divinely revealed source of guidance. Emerging largely from Jewish roots, the earliest Christians knew the Old Testament as their sole sacred scripture at first. It was not until several generations had passed that the New Testament had evolved sufficiently to claim center stage as a unitary authoritative text. For the early Muslims, by contrast, the link between community identity and its own sacred scripture was strikingly more immediate and concrete. There the community took shape around the focal point of the Qurʼān, even as the future "text" emerged piecemeal and orally in Muhammad's preaching. This important divergence of experience suggests significant theological differences in the ways the two traditions interpreted the unfolding of their original core communities. For Muslims the Qurʼān speaks the words of God, whereas for Christians it was the Christ who was the Word. The Muslim source that presents the closest analogue to the New Testament is the Hadith: both emerged only considerably later as complete texts, and both are regarded as divinely revealed but articulated in the words of human beings-Muhammad and the New Testament authors, respectively. Many of the world's major faith traditions have given birth to detailed and complex narratives of the origins and development of their communal identities. Master narratives, especially in the Abrahamic traditions, embody and arise out of theological interpretations of the community's history. Such interpretations are characteristic of highly structured, symbol-laden, even stylized, retrospective readings of the "data" of the community's earliest sources. A fully formed communal narrative may give the impression of an organizational structure in place since the very beginning. In reality, tidy systematic representations invariably develop over generations of reflection on the sources. Only gradually do they develop the institutional structures taken for granted by subsequent generations of believers. In the case of both Christianity and Islam, one can discern a distinctly theological thread running through and integrating their retrospective interpretations of that early formation. This section will explore some of the dynamics behind conceptions of idealized primordial faith communities, including the evolution of early notions and structures of authority, constructions of gender and women's roles in those communities, and the de facto role of criteria of individual authority and ranking within both early traditions. A key narrative of Christian origins centers on the gradual formation of a core group of "apostles" around Jesus. Perhaps the most striking feature of the larger story are gospel accounts in which Jesus "calls" each of the first twelve followers. Their stories depict variations on the theme of "conversion," a conversion not obviously away from Judaism but toward a new orientation centered on spreading the message of Jesus. The Teacher then "sent" the apostles (from the Greek apostellein, "to send") by commissioning them as a group and dispatching them on their individual teaching missions (Matthew 10:1-15, Mark 6:7-13, and Luke 9:1-16). The original twelve included Simon Peter, Andrew, James the greater, John the brother of James, Philip, Bartholomew, Matthew, Thomas, James the lesser, Thaddeus (aka Jude), Simon the Canaanite, Judas Iscariot, and Matthias (who was chosen to replace Judas after he committed suicide; Acts 1:23-26). The number twelve reflects the ancient Jewish construction of the people of Israel as composed of "twelve tribes," though the apostles' roles were never associated with the territorial home turf long connected with those twelve tribes. According to a comment attributed to Simon Peter (Acts 1:21-22), the crucial criterion of apostolic authenticity was having "witnessed" the resurrection of Christ. In other words, early texts identify the original apostles as men who knew Jesus personally. Very early on, however, Christian tradition added to the list of apostles the names of two of the earliest Christian "missionaries," Paul of Tarsus (in southeastern Anatolia) and Barnabas of Cyprus. In the process of this accommodation, the criteria for official "apostleship" were implicitly broadened. Paul argued that he was eminently qualified for the rank by virtue of his dramatic conversion experience in which he "saw" the Lord (esp. 1 Corinthians 9:1; see also Galatians 1:1; 2 Timothy 1:1). Barnabas, for his part, introduced Paul to the twelve apostles in Jerusalem, assuring them that they need not fear Paul because of his former persecution of Christians, for he had been commissioned by Jesus in a vision (Acts 4:26-27). New Testament texts suggest that, with the exception of Peter, the role of apostle was eventually supplanted by the office of bishop (episkopos, "overseer"; see 1 Timothy 3:1-7; Titus 1:7-9), governing the earliest Christian communities as they arose around the eastern end of the Mediterranean. In addition to the apostles, early Christian sources identify a larger core group of "disciples." Initially numbered at seventy-two, the disciples (Greek mathetai, "learners") harkened back to the group of seventy elders appointed by Moses as his inner circle during the Exodus (Exodus 24:1; Numbers 11:16). In Luke 10:1-24, Jesus gathers and commissions the Seventy-Two and sends them out in twos to prepare various local communities for Jesus' arrival there (see also Mark 6:7). Some interpreters see the apostles as forerunners of church hierarchical leaders, and the disciples as foreshadowing the eventual development of a clerical class. A larger group of 120 "apostles and elders" (presbyteroi) are said to have attended the Council of Jerusalem in the year 49 (Acts 15). From within this larger cadre yet another specialized cohort of Christians emerged in response to the perceived need to address specific social and material concerns within the protocommunity-the deacons. Complaints from Gentile converts that their widows were not receiving adequate food assistance prompted the apostles to have the community choose seven outstanding men for special service. Though they are not called deacons (diakonoi, "those who serve at table") explicitly in that context, the seven have traditionally been identified as the first deacons. The apostles named Stephen, Philip, Prochorus, Nicanor, Timon, Parmenas, and Nicholas of Antioch to the new office and commissioned them formally by "laying hands on them" (Acts 6:1-7). Long before Luke wrote Acts, Paul refers to "bishops and deacons" as separate offices (Philippians 1:1) and lists the characteristics required of a deacon (1 Timothy 3:8-13). Some scholars decline to see the origins of the diaconate in the appointing of the "seven," preferring to understand their role as that of liturgical assistant to the bishop at the "table" of the Eucharist. Within a generation or two after the death of Jesus, Christians had developed the notion of "apostolic succession." This technical term refers to the unbroken continuity of leadership and authority from Jesus, via the originally commissioned apostles, and down through those whom they and the disciples evangelized (this according to a Catholic interpretation, at least). Other specific, if not always clearly defined, functions within the proto-Christian community include prophets, evangelists, pastors, and teachers (Ephesians 4:11). Diverse gifts characterized the various categories: speaking in tongues, interpreting tongues, working miracles, and discernment of spirits (1 Corinthians 12:4-11). All was not sweetness and light among the earliest Christian leaders, however. The New Testament addresses frankly the significant disagreements as to what elements of Jewish practice ought to be carried over into the new community. Peter and Paul had a head-on confrontation over the applicability of Jewish customs, such as circumcision and dietary restrictions, to Gentile Christians (Galatians 2:11-14). Paul himself decries the tendency to split into interest groups based on loyalty to the individual who first introduced a local community to the gospel (1 Corinthians 1:10-12, 3:4-10). John's letters call insistently for efforts to maintain unity in the church, as do important early fathers such as Ignatius of Antioch and Clement of Rome, with their concern for safeguarding the community's apostolic and catholic character. Alongside the various groups of men in leadership positions, women also played very important roles among the earliest Christians. Mary, Mother of Jesus, is only one-albeit a central one-among many women mentioned in the New Testament, both in the Gospels and Acts, and in the Pauline Letters. Mary's genealogy remains something of a mystery, but, according to Luke's gospel, she was betrothed to a man named Joseph, "of the house of David." The much older Elizabeth, wife of the priest Zechariah and mother of John the Baptist, was a "kinswoman" of Mary's. Luke parallels the aged and "barren" Elizabeth's miraculous pregnancy with Mary's even more wondrous virginal conception. Luke further draws analogies between Mary and Hanna, mother of the prophet Samuel (1 Samuel 2:1-10). Elizabeth, too, like Hanna, became pregnant under unusual circumstances. When she realized that she would have an extraordinary child, she broke into a song of thanksgiving, as does Luke's Mary (Luke 1:1-2:57). An ancient prophetess named Anna was one of two sage figures who acknowledge the wondrous nature of Mary's child (Luke 2:36-40). The Gospels describe Jesus' relationships with women, some brief encounters and some more extended. John's gospel uniquely recounts one of Jesus' most striking, and no doubt controversial, interactions in the story of the Woman at the Well. This woman was socially marginal and unapproachable on three counts: her gender (a woman alone at a well conversing with a strange man) and her ethnicity and religious adherence (she was a Samaritan; John 4:7-42). Jesus' relationship with Mary Magdalene is perhaps the most widely discussed, and she was the first to visit the empty tomb and see the risen Jesus (John 20:11-18). Women figured prominently as witnesses to Jesus' crucifixion, death, and interment, as well as to the empty tomb and postresurrection appearances (Matthew 27:55-56, 61, 28:1-10; Mark 15:40, 15:47, 16:1-9; Luke 23:27-28, 49, 55, 24:1-10). Luke and John devote especially noteworthy attention to women in their two Gospels and the Acts. Luke 8:3 describes a small group of women dedicated to supplying the material and financial needs of Jesus and his apostles. In addition to featuring Mary, Mother of Jesus, and Mary Magdalene, Luke's Gospel notes prominently the healing of more than a few women from intractable diseases (Luke 4:38-39, 8:1-3, 43-48, 13:10-17); and he alone tells of the role of the elderly widow Anna, a "prophetess" who gives thanks in the temple at the presentation of the child Jesus (Luke 2:36-40). More importantly, in his second volume," the Acts of the Apostles, women were among the earliest converts in many regions (Acts 16:12-40) and were noteworthy for hosting church meetings in their homes (Acts 12:12-17). John's gospel brings five women or clusters of women unmistakably to center stage: in addition to Jesus' mother, Mary Magdalene, and the Samaritan woman, Martha and Mary (sisters of the Lazarus Jesus raised from the dead) play a major scene together, as do the women at the foot of the cross (John 2:1-11, 8:1-11, 4:1-30, 11:1-44, 12:1-8, 19:25-27). The Apostle Paul's missionary endeavors put him in touch with several remarkable women. At least one, Phoebe, was a deaconess; and Paul singles her out for her assistance in his ministry (Romans 16:1-2). Paul also mentions by name as "workers in the Lord" such other women as Tryphaena, Tryphosa, and Julia and refers to the mother of Rufus as Paul's own "mother" as well (Romans 16:1-16). Paul points out that his colleagues Priscilla and her husband, Aquila, were apostles as well as missionaries (Romans 16:3). Paul commends sisters Tryphaena and Tryphosa, likely Gentile converts and former slaves, as "working hard in the Lord" in a way that he reserved for missionaries and local church leaders, and he charges Christians to be subject to their authority. He notes prominently the role of Timothy's grandmother Lois and mother, Eunice, in nurturing Timothy in the true faith (2 Timothy 1:5). Lydia, a Jewish businesswoman who dealt in luxury textiles, stands out as the first convert in her region of Asia Minor. Lydia may have been a leader of a group of women who gathered for prayer, perhaps in the absence of enough local Jewish men to form a synagogue quorum. In any case, during her conversion, she did not shrink from speaking with strange men in public or from offering Paul and his fellow missionaries hospitality in her home. Perhaps the most intriguing reference to a woman among the proto-Christians occurs in Romans 16:7. That text appears to identify a certain Junia, probably a freed slave, as "an apostle." The text links Junia with a man named Andronicus, and the early fathers of the church unanimously identified Andronicus's partner as a woman. It seems that scribes during the Middle Ages, for whom the concept of a female apostle was simply unthinkable, turned the feminine name into its masculine counterpart, Junias. Muslims have long known their tradition's earliest stalwart and exemplary figures as the Companions (sahāba) of the Prophet. The Companions included, naturally, the elect cadre of first converts to Islam but eventually embraced a much broader variety of people. Beneath the retrospective listing of Companions that began to take shape some seventy to eighty years after Muhammad's death (632) lies a skein of interrelated criteria that characterize an authentic Companion. In addition to having "seen" the Prophet, Companions were ranked first in terms of chronological order in conversion (the earliest known as the sābiqūn, "predecessors"). Other criteria included, for example, accompanying Muhammad in the Hijra to Medina (622), fighting in the battle of Badr (624), participation in the treaty of Hudaybiya (628), or presence among the early converts in Medina known as the Prophet's Helpers (ansār). A host of other qualifications, mostly related to pinpointing the date of conversion, include participation in the battles of Uhud and the Ditch, for example, and relatively late conversion to Islam during Muhammad's visit to Mecca after the Muslims reclaimed it in 630. These were such signal events in the life of Muhammad and the early community that participation in them became roughly analogous to the presence of leading first-generation Christians at major moments in Christ's life. An important early genre of hagiography (writing about exemplary or holy figures) in Islamic religious literature focuses on the excellent qualities or lofty virtues (fadāʼil) of the Companions. Among the ethical and spiritual hallmarks of the group are intimate relationship with the Prophet, steadfastness in faith, absolute fairness and evenhandedness in all dealings, and intense devotion and piety. The Companions enjoy such an elevated place in Islamic tradition that casting the slightest aspersion on any of them has long been condemned as sinful. At the pinnacle of the de facto hierarchy of Companions are the "Ten Recipients of Good News" (ʻashara mubāshara), who enjoyed the signal blessing of knowing that they would enter paradise. Most prominent among the ten are the four immediate successors to the Prophet in leadership of the Muslim community, the Rightly Guided Caliphs (Abu Bakr, ʻUmar, ʻUthmān, and ʻAli)-this according to the Sunni interpretation of history, about which I will say more shortly. The additional six merited membership in the top rank as a result of their closeness to the Prophet in various ways. Whenever Muslims mention the name of a Companion, it is traditional to add "May God be pleased with him." A number of women formed a group of particular importance among the Companions, beginning with the Prophet's wives and one of his daughters. Muhammad's first wife, Khadīja, and his daughter Fatima are ranked among the four "most perfect" women in history (along with Jesus' mother, Mary, and Āsiya, the martyred wife of the pharaoh in the time of Moses). Tradition lauds Khadīja as Muhammad's first and most steadfast confidant during the early experiences of revelation, encouraging the Prophet not to doubt his experience nor be discouraged by what he thought he was "hearing" during his periods of prayerful solitude. As Mary was, in Muslim tradition, the "finest of her age," so too was Khadīja. A Hadith indicates that, like the uppermost of the Companions, Muhammad informed Khadīja that she was destined for paradise. Another of the Prophet's more important wives was ʻĀʼisha, who is credited with transmitting an unusually large number of Hadiths. Muhammad's daughter Fātima played a crucial role in the early history of the Muslim community, but especially in the Shiʻi perspective, since she was the wife of the first imam (spiritual leader in the line of the Prophet), ʻAlī, and the mother of the second and third, Hasan and Husayn. Fātima's place in Shiʻi tradition is analogous in some ways to that of Mary in Christian tradition. Muhammad's wives are known by the honorific title "Mothers of the Believers" and stand out as paragons of piety and wisdom for all subsequent generations of Muslims. Though none are mentioned by name in the Qurʼān, the sacred text speaks of them as perhaps the single most important group or "class" of people in the early community. In fact, the Qurʼān (33:50) further explicitly categorizes Muhammad's wives according to a set of criteria based on the historical circumstances under which God sanctioned the Prophet's unions with them (not unlike the various subcategories of Companions mentioned earlier). So, for example, some women were taken as prisoners of war, some were from families that offered a dowry, some were maternal or paternal cousins, and others offered themselves to the Prophet. 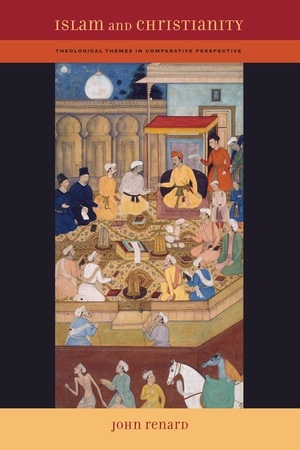 Tribal lineage and pedigree bore important social and political implications in early seventh-century Mecca, and many of Muhammad's thirteen formally acknowledged marriages cemented significant inter- and intratribal alliances. Fewer than half of the Prophet's wives belonged to the principal Meccan tribe, the Quraysh, and none of them were from Muhammad's own clan (within the tribe), the Banū Hāshim. The rest came from other tribes, two were Jewish, and one an Ethiopian Christian. Scripture endows the wives as a group with dignity surpassing that of all other women, but they also carry unique responsibilities and are expected to hew to higher ethical standards. As members of the early Muslim community, therefore, these women served not only as pillars of the Prophet's family, but as exemplars of ideal behavior. Beyond their moral and spiritual nurturance as "Mothers of the Believers," a still broader symbolic function in the overall revelatory scheme of the scripture is similar to that of the wives of earlier prophets from Adam on. "Actors in Qurʼānic history, they function as images, or metaphorical extensions, of that historical reality which God revealed to His Prophet." The Qurʼān does not name any of the earlier prophets' wives, though Muslim exegetes were careful to supply proper names to all of them in their commentaries. A Hadith is evaluated for authenticity and credibility on the strength of each of the personalities listed among its transmitters, and no transmitter is credited with greater veracity and reliability than a Companion. Ranking of early Muslim notables is not limited to the Companions but embraces subsequent generations known as the Successors (tābiʻūn; also "Followers") and the Successors of the Successors. The term salaf, "ancestors in faith," eventually became a convenient way of referring to the collectivity of paradigmatic Muslims. Upon the death of Muhammad in 632, the young Muslim community faced what some have called a "constitutional crisis," concerning the manner of choosing a successor to the Prophet. According to what would become the majority view, Muhammad had not named a successor but had indicated instead a preference that the elders of the community select a khalīfa (vice-gerent) from among their peers. The selection process favored Muhammad's already elderly father-in-law Abū Bakr. Meanwhile, a minority faction within the community argued that Muhammad had indeed designated by name a successor, his cousin and son-in-law ʻAli. ʻAli's "partisans," the shī ʻa, insisted that the Prophet had appointed him to serve in the office of general guardianship (walāyat al-ʻāmma) at Ghadīr Khumm when they were returning from Muhammad's final pilgrimage to Mecca, in 632. Those who supported Abū Bakr's caliphate denied the validity of ʻAli's counterclaim, and the Shiʻa responded by arguing that Abū Bakr and his two immediate successors, ʻUmar and ʻUthmān, were usurpers. Those in the majority called themselves the "People of the Sunna and the Assembly" (ahl as-sunna wa'l-jamāʻa), on the grounds that they were following the express wishes of the Prophet with its communitarian implications. But the minority partisans of ʻAli developed the central concept that a legitimate successor must be, first, designated explicitly by his predecessor and, second, come from the family of the Prophet. Out of these two principles of leadership there developed a distinctively Shiʻi conception of the imamate. According to what became the majority position from among the various Shiʻi groups that emerged over the next several centuries, God would raise up twelve imams from the Prophet's family. Their role would be to function both as successors to Muhammad and as guardians (walī) of the whole community. As tenth-century Shiʻi theologians read their community's history, the eleventh imam designated his successor, and shortly after the former's death in 873, the twelfth imam went into the "Lesser Concealment." For the next seventy years or so, the final imam communicated to his faithful followers through a series of four representatives. When the fourth wakīl died, around 945, without having designated a successor, the twelfth imam entered into what is known as the Greater Concealment. This theological interpretation of early Muslim history developed further in the elaboration of a distinctively Shiʻi eschatology, to which I will return at the end of chapter 2. One major procedural similarity worth highlighting is that exegetes in both traditions devised and employed a variety of modes of interpreting the sacred text. The intellectual and textual histories of both communities suggest further that segments of the communities (such as the legal, mystical, or pastoral) favored and emphasized one or another of those exegetical styles and used them to further underscore their various central purposes and messages. A larger common theme in the scriptural foundations of Islam and Christianity is that the sacred texts and their exegetical histories both reflect and construct Muslim and Christian understandings of their traditions' relationships to previous dispensations in the process of explaining divergences from previous revelations. Early Christians in effect expanded their scriptural canon while simultaneously reinterpreting the Old Testament to such a degree that the New Testament superseded it. Islam likewise acknowledged the existence of earlier Jewish and Christian scriptures and regarded its own as superseding the earlier revelations, but for different reasons. Instead of understanding the Qurʼān as an addition that still accorded exalted status to prior revelations in their current form, Muslims developed the concept of alteration/tampering by Jews and Christians to explain the de facto irrelevance of the earlier texts. In addition, the concept of abrogation shored up the definitive status of the new scripture as a vehicle for God's progressive revelation. In other words, both early Christians and Muslims confronted the problem of contradictory scriptures but solved them in rather different ways: Islamic revelation corrects and replaces entirely previous but corrupted revelations, while the Christian New Testament fulfills the Jewish revelation. Put another way, whereas the eternally existent Quʼrān embodies a perfect and self-sufficient revelation, the Christian canon retains the Old Testament as integral to the tradition while according the New Testament a more perfect status. There are in addition a number of important specific differences between the two traditions. From the Christian perspective: first, the final shape of the New Testament, with its variety of literary genres and plurality of human authors, suggests an important principle concerning divine communication. Here God "inspires" multiple individuals, including prominently two not originally from the inner circle of apostles (on which more in part 2 in this volume), and entrusts them with communicating the divine message from diverse points of view. Second, beneath the rich variety of methods and styles of exegesis that evolved in Christian history lies the fundamental concept of divine/scriptural "inerrancy." God makes no mistakes in what or how he communicates, but exegetes and theologians are still left with the vexing problem of how and to what degree human interpreters must apply nonliteralist (or symbolic) hermeneutics in order to explain apparent contradictions in scripture. From the Islamic perspective: by contrast, God entrusts formal "revelation" to only one class of human representatives, his prophets. Until the "final" (and therefore universal) revelation to Muhammad, God had delivered a message fashioned for each community in its own language. While earlier prophets had access to various kinds of "miraculous" power to establish the veracity of their revelations, the inimitability of the Qurʼān itself is Muhammad's sole proof of his prophethood. Throughout the process of the scripture's unfolding, the concept of abrogation undergirds the theological principle of progressive revelation, by which God is continually tailoring the message to the limited but evolving capacities of its addressees. Finally, as suggested above, Islamic tradition teaches that had Jews and Christians not "tampered" with their own scriptures, God would not have needed to intervene yet again with a corrective message in the form of the Qurʼān. The theological implication is that God continues to clarify the message by shaping human community through history, and both traditions read their early histories in particular through that theological lens. The earliest components of the New Testament appeared a quarter-century after the death of Jesus, and the last some fifty years after that. The Qurʼān was "complete" with the death of Muhammad, while the sayings of the Prophet (Hadith) continued to evolve as a literary corpus for several centuries. Both traditions speak of levels of interpretation or meaning. Christian views of four levels of meaning in scripture-historia, allegoria, tropologia, and anagogia-are very roughly analogous to Islamic notions of ordinary commentary (tafsīr), linguistic or grammatical explication, legal or ethical meanings, and esoteric or mystical interpretation (taʼwīl). As in the first Islamic generations, the earliest Christians formalized oral traditions considered authoritative for the interpretation of faith. Initially, both Christianity and Islam entrusted the continued teaching of their fledgling communities to groups of followers (apostles, Companions) who were close to the principal teachers (Jesus, Mohammad), rather than to a single successor. But after their founders' deaths, both traditions gradually evolved more institutionalized structures. On the Muslim side, this comparative view emphasizes the Qurʼānic tradition "There is no clergy in Islam," though there are important variations in the Shiʻi tradition. Even so, by the second Islamic century, formal ranking of Muslim authorities had become essential for authenticating the growing body of Hadith. With respect to the exercise of power within the community, it was none other than the first converts and closest Companions of the Prophet who managed the early conquests and thus became the first political rulers in a nascent empire. By contrast, though the bishop of Rome wielded some quasi-political power even in early times, formal investiture of Christian leaders with civil authority was not common until after Constantine. Finally, a noteworthy difference in the construction of gender has to do with the relationships between exemplary women and the foundational figure. Christian tradition interprets Jesus' choice not to marry as a sign of his complete dedication to the church as its "spouse," thus effectively diminishing the range of female authority roles in Christian institutional history. The more intimate link of Muhammad's wives and daughters to the foundational figure, by contrast, may suggest a somewhat broader influence, at least in the life of the early community. In chapter 2 we turn to more detailed evidence of how Christians and Muslims have interpreted their respective histories in light of their sacred sources and communal foundations. In light of the widespread public perception of incompatibility between Islam and Christianity, this book provides a much-needed straightforward comparison of these two great faith traditions from a broad theological perspective. Award-winning scholar John Renard illuminates the similarities as well as the differences between Islam and Christianity through a clear exploration of four major dimensions—historical, creedal, institutional, and ethical and spiritual. Throughout, the book features comparisons between concrete elements such as creedal statements, prayer texts, and writings from major theologians and mystics. It also includes a glossary of technical theological terms. For western readers in particular, this balanced, authoritative work overturns some common stereotypes about Islam, especially those that have emerged in the decade since September 11, 2001.